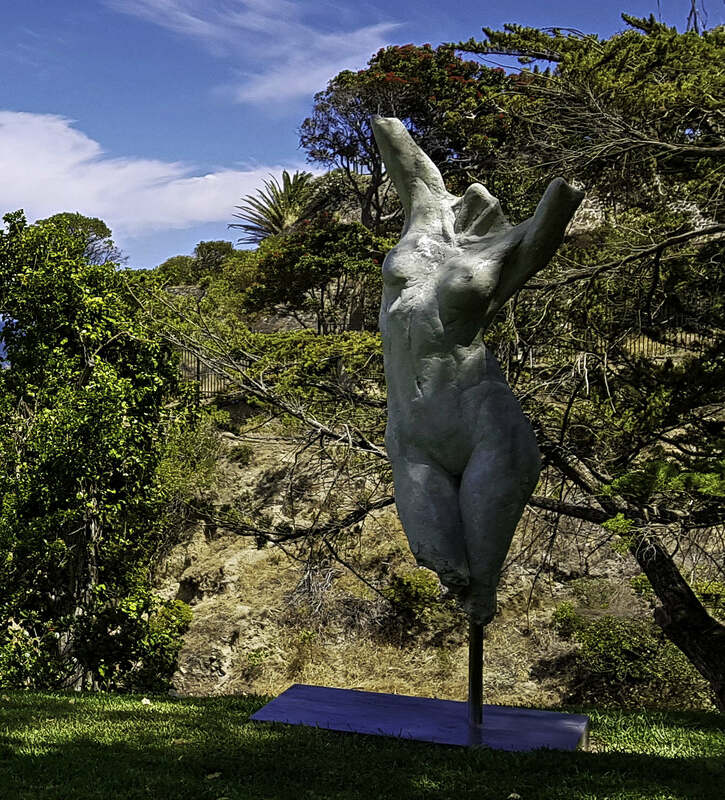 I recently had the honour of installing a larger-than-life female torso sculpture at the exquisite Camps Bay Retreat. The installation was extra special for me for two reasons. Firstly, I used to work for Village and Life – the company that owns and operates the Camps Bay Retreat – and secondly, I once lived on the property for more than a year, and for most of that time I was accompanied by Hannetjie Brink – the late mother of the owner of Village & Life, Maree Brink. I have extremely fond memories of working at Village & Life and none more so than the time I spent at the Camps Bay Retreat – at that stage we still referred to it as Earl’s Dyke – the original name of this majestic estate. I remember the late nights Tannie Hannetjie and I had, drinking wine and discussing a widespread range of topics – anything from maths, to business, to music and art. I also remember waking up to the sound of the sea and the unique smell of the sea air combined with damp trees, grass and plants. If you have ever get the chance to visit this wonderful property, I cannot recommend more wholeheartedly that you do so.